Almost all adults suffer a little math anxiety, especially when it comes to everyday problems they think they should be able to figure out in their heads. Want to figure the six percent sales tax on a $34.50 item? A 15 percent tip for a $13.75 check? The carpeting needed for a 12�-by-17-foot room? No one learns how to do these mental calculations in school, where the emphasis is on paper-and-pencil techniques. With no math background required and no long list of rules to memorize, this book teaches average adults how to simplify their math problems, provides ample real-life practice problems and solutions, and gives grown-ups the necessary background in basic arithmetic to handle everyday problems quickly. About W.J. Howard (Author) : W.J. Howard is a published author. Published credits of W.J. 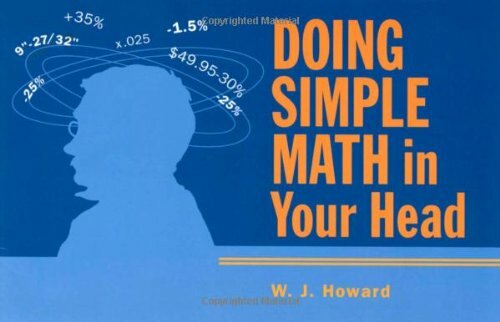 Howard include Doing Simple Math in Your Head.